Now there are more options than ever when it comes to your joint pain. Our team focuses on preserving your natural joint through non-surgical techniques that fit your lifestyle. Our team focuses at preserving your natural joint through a range of techniques just for you. Dr. Hopkins is a highly experienced and skilled orthopedic surgeon who has performed more than 3,500 joint replacement surgeries. 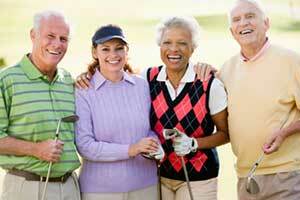 We offer unique treatment options that can reduce joint pain and prolong the joint replacement. We are conveniently located in Frisco, Texas and proud to serve Plano, Prosper, McKinney and Allen communities. At Medical City Hip & Knee Specialists, we offer the latest treatment options for hip and knee pain that are aimed to preserve your joints. We pride ourselves on being one of the most comprehensive hip and knee joint centers in the DFW market, offering a comprehensive list of treatment options to the patient with hip and knee pain. Headed by experienced, fellowship trained joint replacement surgeon, Eldon G. Hopkins, M.D., our focus is on preserving the natural joint through innovative techniques aimed at making metal-plastic artificial joint replacement an option of last resort when all other reasonable treatment options have failed. Prosthetic joint replacement of the hip and knee are both highly successful surgical procedures, their function is close to that of that natural joint but neither provides function equal to the natural joint. That is why we, at Medical City Hip & Knee Specialists, have Joint preservation as our number one focus and work to preserve the natural joint as the first option and joint replacement as a wonderful second option. Our services are offered in a patient-centered environment focused on providing you with the best care possible. When you partner with our team, you will receive treatment options that are tailored to your specific needs. Whether you suffer from arthritis, joint disorders or the after effects of hip or knee fractures, we never take a one-size-fits-all approach. Where possible the least invasive, non-surgical option is chosen. Surgery is not always the first answer. Headed by Eldon G. Hopkins, M.D., our team works with each patient to develop an individualized treatment plan. Depending on your specific condition, our experienced team can recommend a variety of options including physical therapy, joint injections, minimally invasive total hip replacement surgery, minimally invasive total knee replacement surgery and partial knee replacement. We understand that choosing to undergo any kind of surgery is a big decision, and that is why Dr. Hopkins and his staff offers a range of options to help you find relief, including options that are non-surgical. We walk you through every step of the process and you are in total control of your treatment options.